This week’s winner is once again @JohnColsonPhoto this time for a photo of a view that captures my imagination every time I see it. 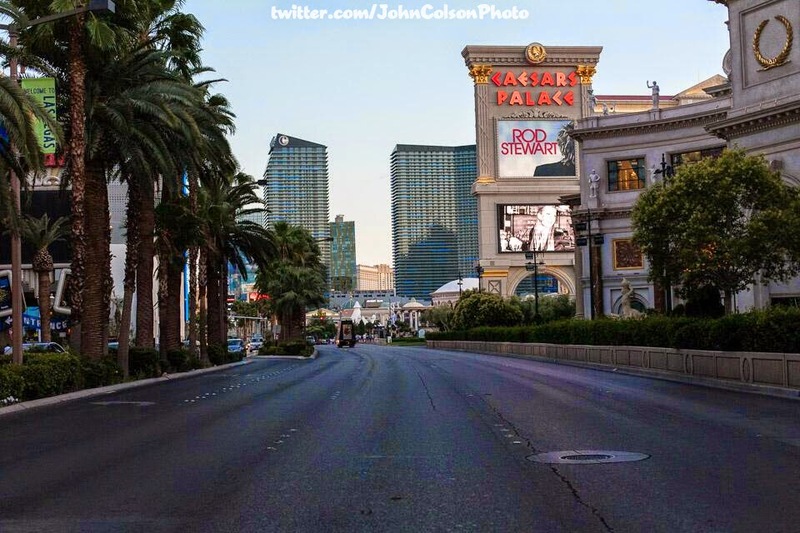 It’s a view of a virtually empty Las Vegas Blvd. A similar picture has won in the past but this one was taken from the southbound lane of Las Vegas Blvd from the Harrah’s crosswalk looking south. Something about capturing a picture of an area most of us have no experience seeing in any way but crowded is fascinating. It’s almost apocalyptic. In this shot, John grabbed Caesars Marquee, the Cosmopolitan towers, a little bit of Veer Towers at City Center and Monte Carlo.